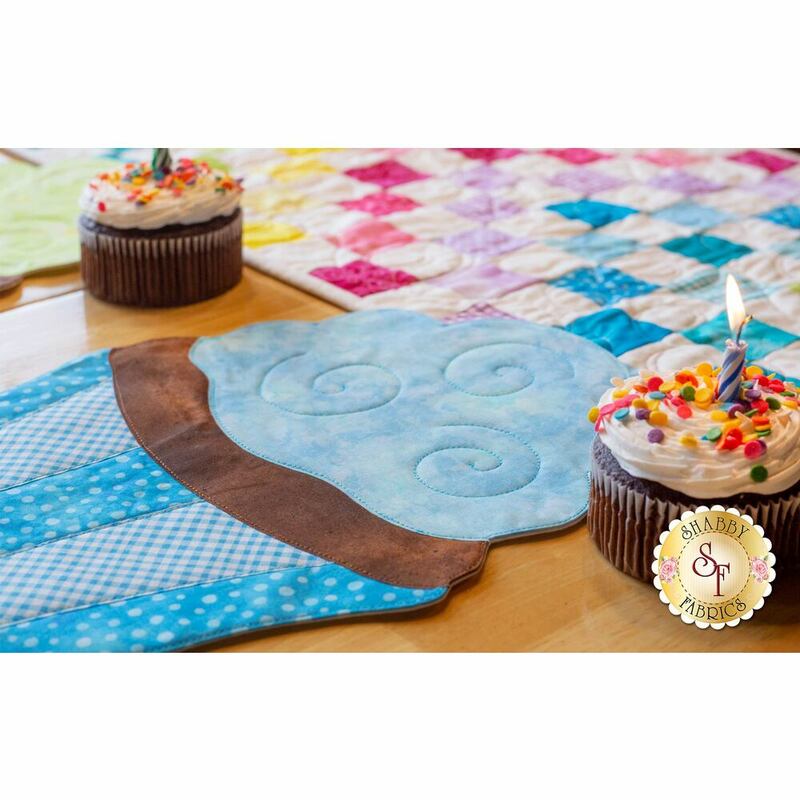 Celebrate birthdays in colorful style with the Shabby Fabrics exclusive Cupcake Placemats! 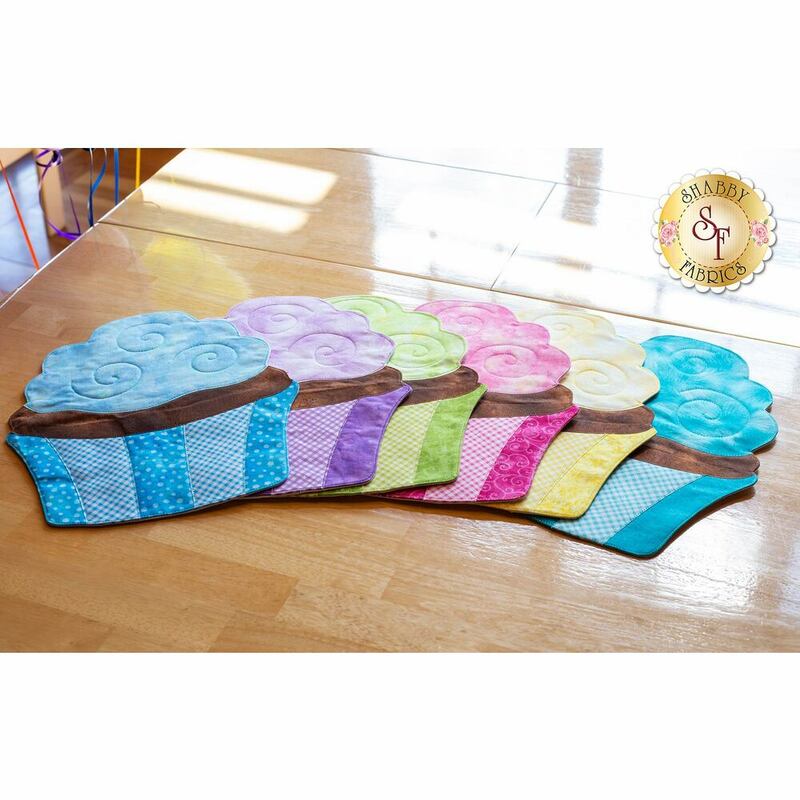 These six fun cupcakes are perfectly frosted and ready to add a festive touch to your next family celebration! 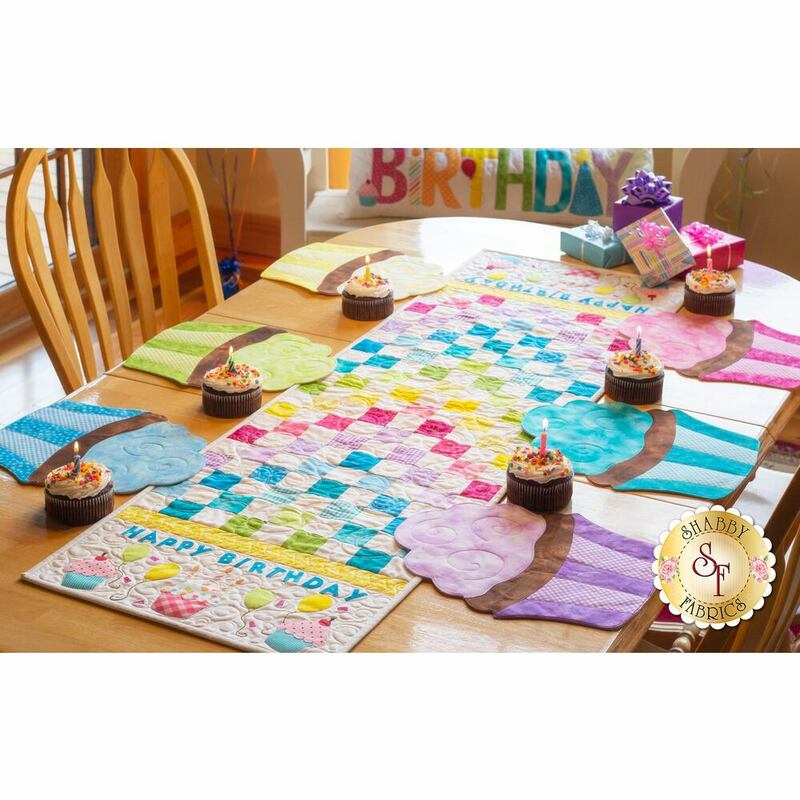 Decorate with the coordinating Happy Birthday Pennant Kit, Cupcake Wall Hanging Kit, Happy Birthday Wall Hanging Kit, Patchwork Birthday Table Runner Kit, and Happy Birthday Pillow Kit! 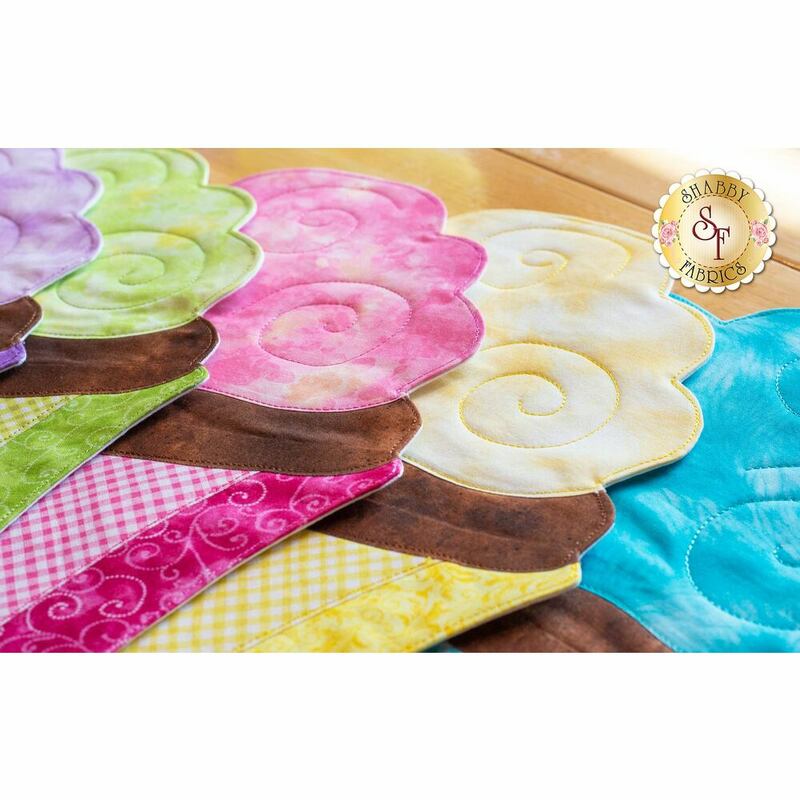 Placemats measure approximately 11½" x 14¼". 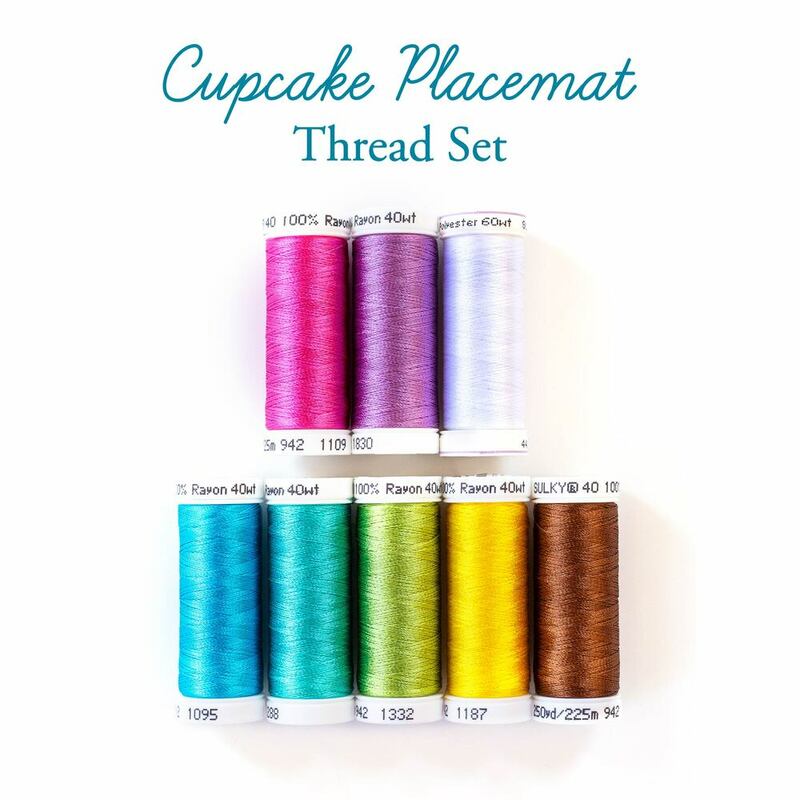 Pre-Fused & Laser-Cut Appliqué Pieces for 6 Placemats! 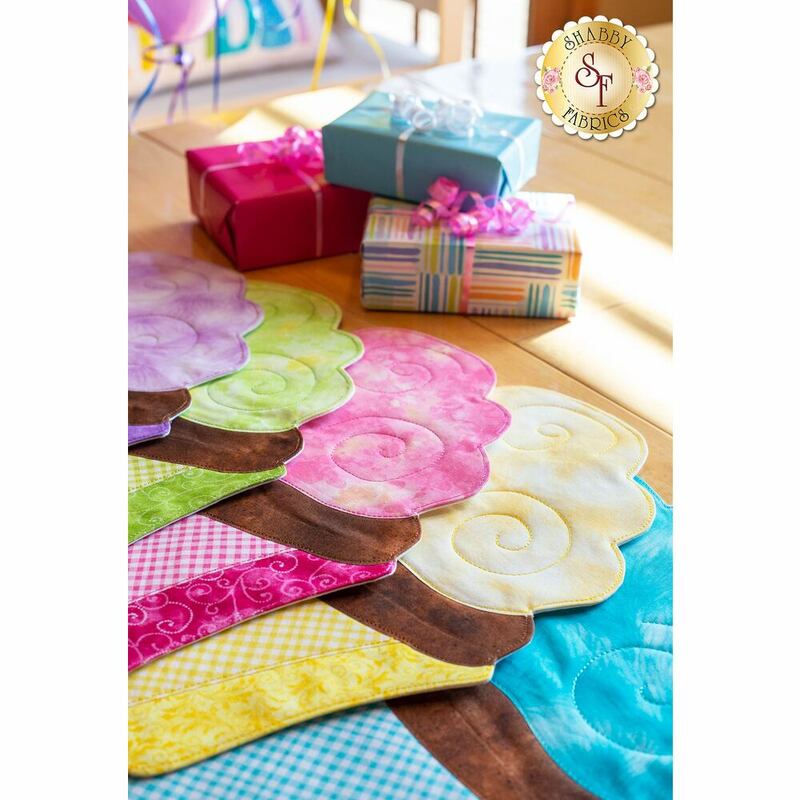 Fusible fleece is not included.